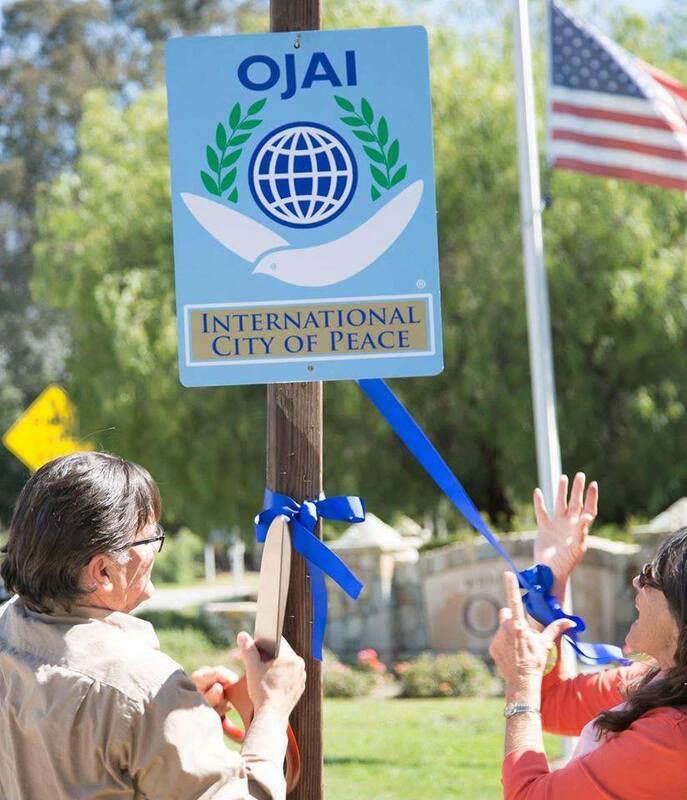 Welcome to peace advocates John and Bev Titus and the citizens of Urbana, Ohio, U.S.A., which has proclaimed their community as an International City of Peace. Urbana is known for a long history of innovation and educational excellence. Urbana University is home to the Alicia Titus Memorial Peace Fund, promoting a culture of peace in the Urbana community and beyond. 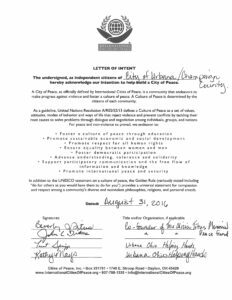 On September 6th, 2016 the Urbana City Council unanimously passed a Resolution to designate the City of Urbana as a recognized City of Peace through the International Cities of Peace Organization. 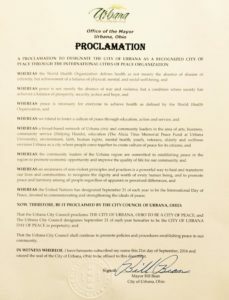 On September 21, 2016 Mayor Bill Bean signed the Proclamation that the Urbana City Council proclaims THE CITY OF URBANA, OHIO TO BE A CITY OF PEACE; and The Urbana City Council designates September 21 of each year to be the CITY OF URBANA DAY OF PEACE in perpetuity; and That the Urbana City Council shall continue to promote policies and procedures establishing peace in our community. 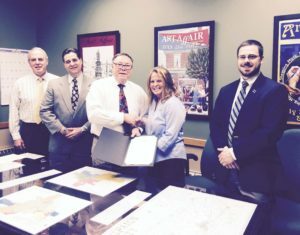 Witnessing the signing of the Proclamation are (Left to right); Kerry Brugger, Director of Administration, Dr. George Lucas, Urbana University President, Urbana City Mayor Bill Bean, Bev Titus, Co-founder of The Alicia Titus Memorial Peace Fund, Jared Chamberlain, Assistant Prosecutor. 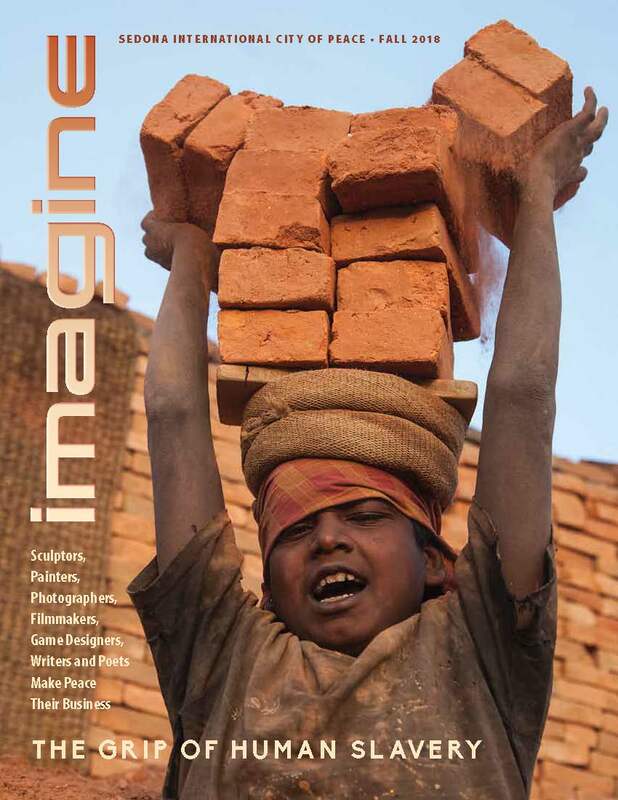 The citizens of Urbana, Ohio, intend to foster a culture of peace through education, action and service. A broad-based network of Urbana civic and community leaders in the area of arts, business, community service (Helping Hands), education (The Alicia Titus Memorial Peace Fund at Urbana University), environment, faith, human rights, mental health, youth, veterans, elderly and wellness envision Urbana as a city where people come together to create culture of peace for its citizens. 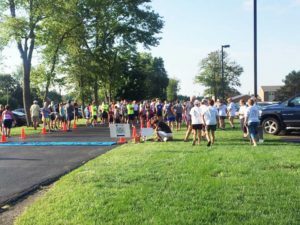 Over 200 walkers and runners gather at the start of the 5th Annual Alicia Titus Memorial Peace Run at Urbana University on Saturday, September 10, 2016. A family event with live music and lots of children’s peacebuilding activities. 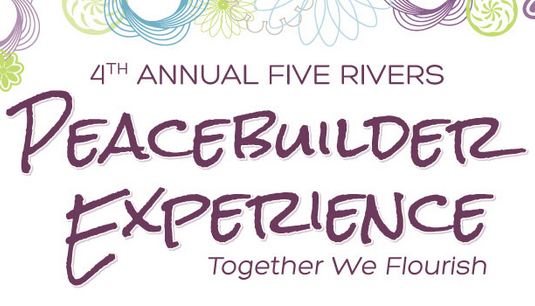 The Peace Run serves as our annual fundraiser to promote peace and justice programs and events throughout the year. The theme this year was “From War to Peace”. After losing their beloved daughter, John (Class of ’77) and Beverly (Class of ’90) have advocated for peace education in the community and at Urbana, along with the UU Student Peace Alliance. It’s John and Bev’s mission to mend that concern and create a culture of peace. This six-acre park is nestled between St. Route 55 and U.S. Rt. 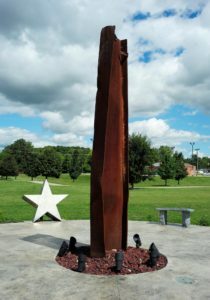 68 on the south side of Urbana and provides a space for reflection and remembrance of everyone who died on September 11, 2001. Freedom Grove also serves as a memorial for all of our young men and women who have served our country and lost their lives in war. 1. Limestone cornerstones mark 208′ footprint of one tower. 2. Ripples in the earth represent the powerful impact of the fall and how the event reverberates today. 3. The circle beneath the beam represents the globe, relationships, the circle of life and embraces the beam. 4. Inspired by the US Flag the stars created from steel represent the Twin Towers and the spirit of ingenuity. 5. The beam symbolizes our journey together. This beam is twisted. This beam is tormented. It has been through a horrific tragedy. It now represents our spirit, our will to embrace faith, hope and freedom. It lies down no more. It does not lean over. It stands tall with America. 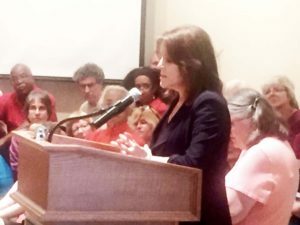 Marianne Williamson, New York Times best-selling author, international speaker, founder of Project Angel Food, and Co-founder of the National Peace Alliance gives her keynote address at Urbana University on September 11, 2016. Marianne gave a very passionate talk about forgiveness, atonement, “Healing the Soul of America” and each of us doing our share to make the world better to an audience of over 400. The World House Choir gave an inspirational performance, and John and Bev Titus shared briefly about Alicia, their grief journey, and finding peace in the midst of tragedy. In late Fall of 2001, a journalist told them about an organization of September 11th families who were speaking out on these issues and were organizing to gain media support. Consequently, the Titus’ joined September 11th Families for Peaceful Tomorrows in the Spring of 2002. John served on the Steering Committee for several years. 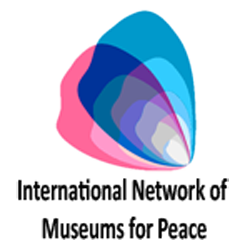 The unifying theme for Peaceful Tomorrows members is “turning our grief into action for peace”. “This has been our goal and has become a life mission since Alicia’s death,” stated John. Peaceful Tomorrows is an organization founded by family members of those killed on September 11th who have united to turn our grief into action for peace. By developing and advocating nonviolent options and actions in the pursuit of justice, we hope to break the cycles of violence engendered by war and terrorism. Acknowledging our common experience with all people affected by violence throughout the world, we work to create a safer and more peaceful world for everyone. 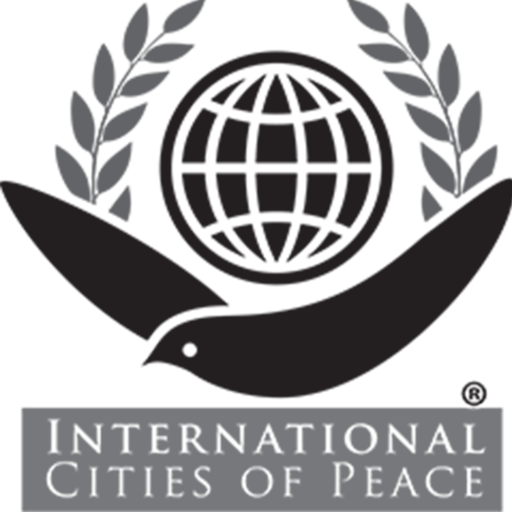 • To promote dialogue on alternatives to war, while educating and raising the consciousness of the public on issues of war, peace, and the underlying causes of terrorism. • To support and offer fellowship to others seeking nonviolent responses to all forms of terrorism, both individual and institutional. • To call attention to threats to civil liberties, human rights, and other freedoms in the U.S. as a consequence of war. • To acknowledge our fellowship with all people affected by violence and war, recognizing that the resulting deaths are overwhelmingly civilian. • To encourage a multilateral, collaborative effort to bring those responsible for the September 11, 2001 attacks to justice in accordance with the principles of international law. • To promote U.S. foreign policy that places a priority on internationally-recognized principles of human rights, democracy and self-rule. • To demand ongoing investigations into the events leading up to the September 11, 2001 attacks that took the lives of our loved ones, including exhaustive examinations of U.S. foreign policies and national security failures. John Titus is a retired college administrator and a licensed professional clinical counselor. Bev Titus is a retired Health & Fitness Consultant, and educator. They split their time between Ohio and Michigan. They are the parents of four children and 7 grandchildren. 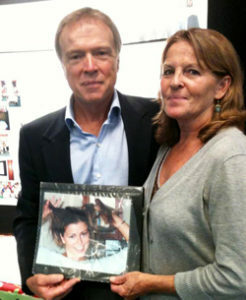 Their oldest daughter, Alicia was killed on September 11, 2001. 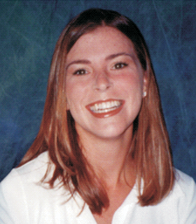 She was a United Flight Attendant working on the second plane to hit the World Trade Center Towers. Since then, they have devoted their lives to further the causes of peace and social justice traveling all over the United States, Canada and Italy for presentations, conferences, peace alliances, and social protests at conventions, public forums, churches, universities and other forums. They are also members of the National Peace Alliance, Michigan Peaceworks, The Interfaith Council for Peace and Justice and have joined with numerous local, national and international peace organizations to further their cause. 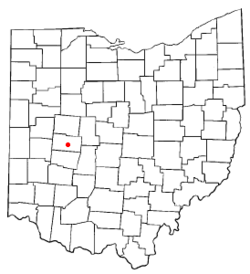 Urbana is a city in and the county seat of Champaign County, Ohio, United States, 47 miles (76 km) west of Columbus. Urbana was laid out in 1805, and for a time in 1812 was the headquarters of the Northwestern army during the War of 1812. It is the burial place of the explorer and Indian fighter Simon Kenton. In 1900, 6,808 people lived in Urbana; in 1910, 7,739; and in 1940, 8,335. The population was 11,793 at the 2010 census. It is the home of Urbana University. Champaign County was formed on February 20, 1805 following the American Revolution and the Northwest Indian War. Colonel William Ward, a Virginian who had settled in the Mad River Valley with Simon Kenton in 1799, purchased 160 acres which he considered the logical and most acceptable site for Champaign’s county seat. 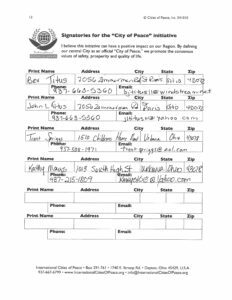 He approached the county commissioners with a proposition to locate the seat of the new county on this tract. 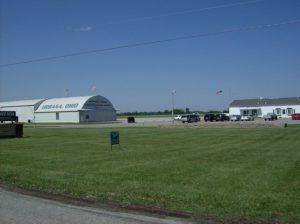 Urbana’s economy is supported by several industries, including Rittal, Honeywell Aerospace, Honeywell Inc., Control Industries, Freshwater Farms among others. A variety of services are located in buildings around the Urbana Monument Square Historic District, which is listed on the National Register of Historic Places. Businesses in the square include banks, accounting, fine dining, bars, and personal care. Urbana Police Division Safety Town, an important yearly outreach program that impacts the lives of at least 30-40 children each year as they prepare to enter Kindergarten. Children are taught safety lessons on such topics as Good Drugs/Bad Drugs, Gun Safety, Fire Safety, Pedestrian Safety, Playground Safety, School Bus Safety, Safety Belt Safety, Storm Safety, Pool Safety and Stranger Danger just to name a few. The children also get to practice their lessons in a miniature town as pedestrians and also riding on tricycles and pedaled carts. We see it in the news almost daily, another mass shooting at a school, business, church, factory, or home somewhere in the United States. We say to ourselves, “That will never happen here.” The questions then become, “What will I do to be ready? What will my students, co-workers, fellow employees, or family members do to be ready?” ALICE is a program that teaches some proactive options for dealing with a mass shooter or violent intruder and surviving that encounter. The Urbana Police Division has officers trained to teach ALICE and we’ve presented it to numerous area businesses, schools, churches and civic groups. The Are You OK Safety Program is a free outreach program from the Urbana Police Division to community members who subscribe to it that provides telephone assurance for at-risk seniors and assists elderly or disabled individuals who may be housebound, live alone, or need the assurance of a daily phone call to feel safe and secure. On August 15, 2016, members of the Police Division and their spouses sponsored and provided the August Monthly Community Meal at the Urbana Episcopal Church. We prepared and served meals to over 75 people. In addition to this, in past years we’ve hosted the Community Night Out during the month of August at the Urbana City Pool during which we provided food, displays, activities and swimming for approx. 200 persons on each of those occasions. Throughout the year, we utilize Urbana Police Division Officers to make various presentations. From Vacation Bible School talks at area churches, to Drug Presentations to area high school administrators and university resident assistants as well as traffic safety and crime victim avoidance presentations to senior citizens and community service groups, and robbery training presentations to area banks and businesses, our officers run the gamut of helping to equip our community members to make Urbana a better place. Later this month (September 2016), UPD Officers will be participating in our first Athletes Dinner with Law Enforcement at Urbana University in an effort to begin to forge better relationships with college athletes. The Champaign County Farmers Market is held weekly in downtown Urbana. In a contest sponsored by the American Farmland Trust, the market was voted as one of America’s four favorite farmers’ markets. Art Affair on the Square is historic downtown Urbana’s annual multi-arts festival, featuring original work by more than 60 artists from several states in the show’s signature white tents. The artists’ market is the centerpiece of the event. Performing, literary and culinary arts, architectural tours, demonstrations, exhibits and special arts programming for children are also available.. Urbana is also home to the annual Simon Kenton Chili Cook-Off that takes place downtown in the monument square as well. The 10th annual Cook-Off is taking place on September 24, 2016 where prizes will be offered to the winners. 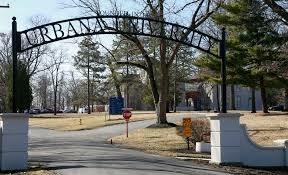 Urbana University offers liberal arts tertiary-education opportunities in a small college environment. Serving about 1500 students, it offers 28 undergraduate majors in a variety of disciplines; graduate degrees in Business Administration, Criminal Justice, Education and Nursing; and opportunities for international students desiring to study in the United States. The New Church in America was developed by followers of Emanuel Swedenborg, an eighteenth century scientist-theologian. In a real sense, Swedenborg was the spiritual father of Urbana College. Emmanuel Swedenborg was a brilliant scientist and visionary. At fifty-five, though still enjoying an enviable reputation as a scientist, Swedenborg turned his attention to theology. The result of his work can be found in thirty treatises which remain remarkable in their rational approach to philosophy and theological questions. Believing the new revelation to be a gift to all men, Swedenborg never felt compelled to create a distinct religious organization. It was not until his death in 1772 that his followers began organizing New Church societies to preserve and promote “the New Dispensation”. New Churchmen soon began emphasizing education as a means of spreading Swedenborg’s teachings. The initial successes of the New Church in America were gratifying, but continued growth depended on several factors. Primary among them was the need to transmit Swedenborg’s teachings to youth. Recognizing the deficiencies in the education system that neglected instruction in higher principles of justice, truth, and democracy, New Churchmen began talking about establishing Swedenborgian schools which would combine “instruction in morals” with the elements of a good liberal education. The idea of establishing a New Church college had surfaced periodically during the early nineteenth century, and seemed on the verge of fulfillment in 1821 when the eccentric Swedenborgian missionary, John Chapman–better known as Johnny Appleseed–offered 160 acres of land to the Philadelphia Society in exchange for 320 dollars worth of distributable New Church literature. 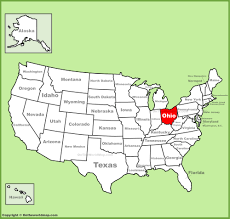 This was the beginning of the movement to establish a New Church College with the initial impetus coming from Reverend James Parke Stuart who had volunteered for mission work in Ohio. In early 1849, Stuart called at the home of Colonel John H. James to suggest building a college in Champaign County. Colonel James was married to Abby Bailey, daughter of Francis Bailey, publisher of the first American edition of Swedenborg’s writings. …an institution of learning…designed to encourage and promote diffusion of knowledge in all branches of knowledge of Academic, Scientific and Exegetic Instruction, and to combine therewith instruction in the productive arts and the practice of rural economy. Swedenborg says that love is the basic element of reality. It is the source of life, and the essence of God. He says that our souls are individual finite forms of love, our bodies serving as mirrors of that inner sense. He also states that truth is the way love works, actions that we perform out of love are honest actions, genuine expressions in a physical form of what love means, or the truth of love. Swedenborg defines faith as a kind of inner insight, a perception of what is true. Charity is founded in the desire to do service and live a useful life, beginning with the choice of career or life work. The spiritual life involves the active development of a useful and meaningful life in service to the betterment of the world as a whole.